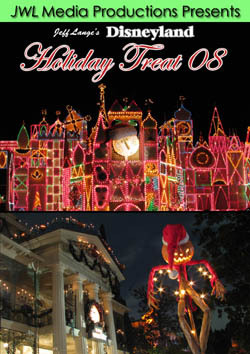 « Disneyland Holiday Treat 08 DVD – Free Bonus while supplies last. 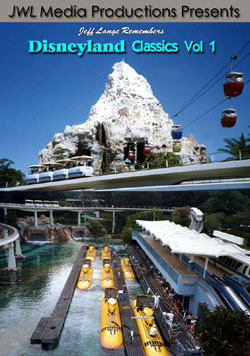 Disneyland Entrance / Main Street Omnibus – Immerse yourself in the atmosphere of the holidays as you enjoy a one-way trip high atop the Main Street omnibus! You’ll travel past the Disneyland Christmas tree, stopping at Sleeping Beauty’s beautiful snow covered castle. “A Christmas Fantasy” Parade – You have perfect viewing of this beloved holiday tradition, from Christmas Tree Point on Main Street USA! 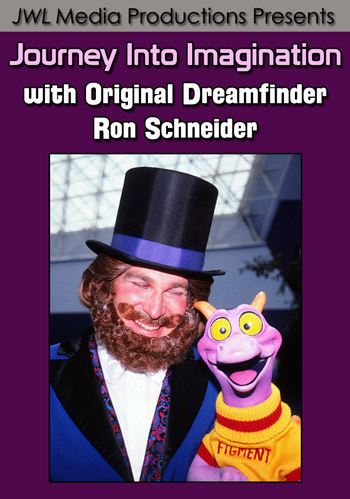 This Disneyland classic features an enchanted collection of holiday scenes, music, and your favorite Disney characters in yuletide settings. Toy soldiers march, friendly snowmen dance and Santa waves from a soaring sleigh as reindeer prance below! 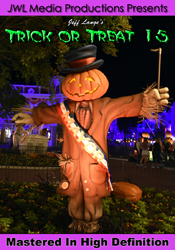 Haunted Mansion Holiday – See what happens when holidays collide as Jack Skellington and his fiendish friends take over the Haunted Mansion! 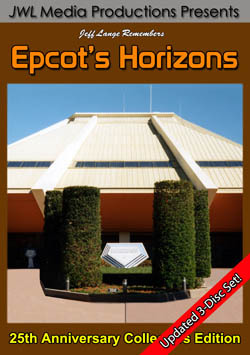 This ultimate version was compiled from eight rides to capture all the nuances of this spooky holiday favorite!